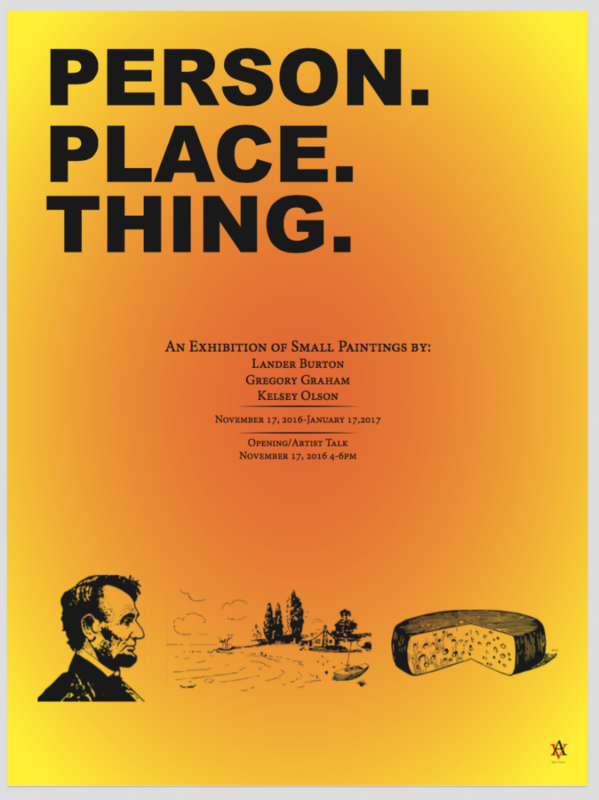 Groveland artist Gregory Graham can be found in the Saint Cloud State University, Kiehle Gallery exhibition ” Person. Place. Thing.” alongside artists Lander Burton and Kelsey Olson. This exhibition of small paintings opens November 17 and runs through January 17, 2017. The opening reception, featuring an artist talk, will take place Thursday, November 17 from 4-6 pm.